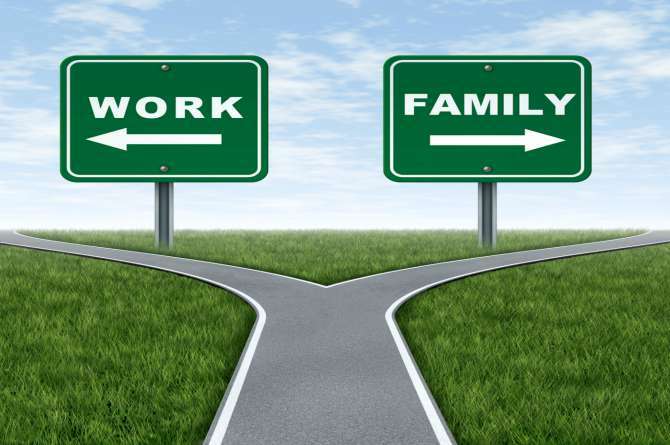 Working moms vs stay at home moms: What’s your pick? So when are you getting back to work, asked she who must know it all. It had been exactly a year and four months since I quit work to be a full time mother. I am not sure, perhaps when my son is settled in school? But the longer you wait, the more out-of-practice you will get. Out-of-practice? Did she even know what I do? But I try to explain. I am a writer. I write all the time. I will never get out of practice. But education is so expensive. And then, there is peer pressure. Children are also so demanding these days. We keep our needs minimal. I don’t do designer labels, designer birthdays, designer holidays, or designer schools. I want to keep it simple. Still, it must be tough to manage on one salary. She has entered forbidden territory by now. I am seething, but I keep my calm. I guess motherhood makes you manage your anger better. I’d rather do 100% motherhood now than deal with issues later. You can plan all you like, but what will happen, will happen. She is someone who hasn’t worked a day in her life. Perhaps she thought, I spent my days getting my nails done, spending the husband’s money, taking beauty naps, or getting my jewellery reset. What would she know about the motherhood/career paradox, I wondered. The problem with motherhood is that either way, you are badgered. If you choose career over baby, bottle over breast, money over bonding, you are accused of being materialistic and cold-hearted. If you choose the opposite, you are accused of having turned into a lady who lunches, someone who would be emotionally manipulated by her child, someone who took the easy way out, someone who wasn’t career-minded in the first place. And then, people think you are at their beck and call. Friends expect you to pick up movie tickets. Random people ask you what you do all day. Relatives wonder why you can’t show up at perfunctory dinners thrown for someone in the family tree you don’t really give a damn about. Considering you don’t work, I thought you would show up, was a line thrown at me recently by a certain relative who is trying to pack it all and is an eager contestant for supermom. I grew up with super moms before the phrase became fashionable. My mother was one too. My extended family is full of them, although they haven’t made it to magazine covers or features. Every single aunt of mine worked till her retirement, managed work and family on auto-pilot and most of them still draw pensions. The ones that didn’t have jobs turned entrepreneurs who ran creches, beauty parlours, catering businesses, jewellery design or investment companies. Each one of them lauded me on my decision to quit my job to do motherhood. No one has yet asked me when I plan to go back to work. Least of all, my mother, who worked 36 years as a school teacher before she eventually retired. She loved her job, but she still tells me she wished she could have quit to be home with us when we were little. She had no choice. Times were hard then. Times are still hard. I gave up on my dream to own a house in a real-estate gangrene-ridden city. It’s not a priority any more. I missed my fat paycheque and I did feel odd spending someone else’s money. But I figured, after working non-stop for 17 years, I could certainly win a job back. On motherhood, I was still raw, and this was my only chance; I wanted to get it right. I didn’t want to be torn all the time, I didn’t want to negotiate my work-life balance on a daily basis. But she stirred a lot of emotions. When I thought about it, I didn’t have an answer to when I would be ready to go back to work (makes you wonder if stay-at-home motherhood is not work). Yes, my son would start school soon. But that would still be three hours. Would I leave him with a maid for the other six, wondering if she ever fed him the date rolls my mother made or has she eaten it herself? Would I find a day-care with soul close to home/my place of work? Would I find a job close to home/playschool that would allow me to hop across when required? Would I find an organisation that understood and practised (without being exploitative) the concept of flexitime? Would I find an organisation that offered day-care and not look at me like I was asking for the moon? I didn’t know. It seemed unfair that fathers never had to deal with these kinds of negotiations. Fatherhood is still a column men don’t have to fill in their resumes. It can be invisible until they decide to put up baby pictures on their soft-boards. Motherhood on the other hand is a life-long contract you enter into from the time you get pregnant. You can make it discreet, but never discreet enough. I am not glorifying stay-at-home moms before you swish your daggers at me. All I am saying is, this is how I wanted to do it, and I think I deserved to. Kids grow up and turn out okay anyway, is another line thrown by randoms. Yes, I know they do. Maybe, I was nuts. But I figured I may as well invest the time in the early years than deal with allergies, therapists and eating disorders later. It was not the only way, but it was my way. And I don’t think it is anybody’s business, except me and my family. But the funny thing was, even when my husband was totally supportive of my decision, and in leaving lead parenting of my son to me, my ‘not working’ was still viewed with a certain dismissiveness and skepticism by people who didn’t even matter. I was always asked when I planned to return to work, never if. If you had seen me then, you wouldn’t want to trade places with me. Being ensconced in air-conditioning, bcc and cc mails, video conferences, meetings and endless cups of tea seemed far more comfortable than being a stay-at-home mom, keeping pace with a toddler’s complexities. As to what did I do all day, there were two ways I answered that: Giving a detailed account of all I did, starting with waking up to my face being rearranged at 6 am to controlling water-play to trying to decode the boy’s vocabulary which had much more sound than it has words, dealing with growth spurts and behaviour transitions and making sense of them to making sure he interacted with his environment in a way that is humane and productive to managing menus and domestics, groceries, play-dates and outdoor activity to playing the wife/daughter/daughter-in-law/friend/social mom as the situation demanded to writing two blogs and a book to finding me time (if anything is left from the above). What do you think about this story on working moms vs stay at home moms? Share in the Comment box below.